I’ve heard a lot of people attempt to label Yorgos Lanthimos. I’ve heard “Kubrick-esque” due to Lanthimos’ cold disposition toward humanity. Or the way he points a camera with wider shots than a museum diorama. I’ve also heard comparisons to Wes Anderson based on Lanthimos’ visual perfectionism and the way his characters act like props in a dollhouse as opposed to real people. I believe we’ve reached the point where we can say Lanthimos style is his own, as opposed to a mélange of his influences. And it’s a style that is rich with grandiose imagery, morbid humor, and pulsating with sinister intentions. The story told without much setup, concerns Dr. Steven Murphy (Colin Farrell), a respected heart surgeon and his loving family. His wife, Anna (Nicole Kidman) a teen daughter, Kim (Raffey Cassidy) and young son, Bob (Sunny Suljic). Steven appears to be a responsible figure and caring family man until we discover his relationship with an awkward teen named Martin (Barry Keoghan). Steven visits Martin at restaurants, gives him an expensive watch, and even visits his single mother (Alicia Silverstone) for dinner and movie nights. Which results in possibly the only uncomfortable screening of Groundhog Day in history. I want to tell you what this all means, but I hate to spoil anything about this film. I will say that Steven’s mistake involves his work and Martin’s family, which results in Steven’s constant attempts to repent. What that builds towards is a conflict bordering on a fantasy that not only involves Steven but the lives of his family members. Why would I bother reviewing The Killing of a Sacred Deer if I’m not going to divulge much plot? I’m not sure. What I do know is this film made an impact on me. It made me reflect on the concept of “karma”. A big theme of the film is how we can balance out the universe to make life fair for everyone. Where one action might appear cruel to one, can appear completely fair to another. 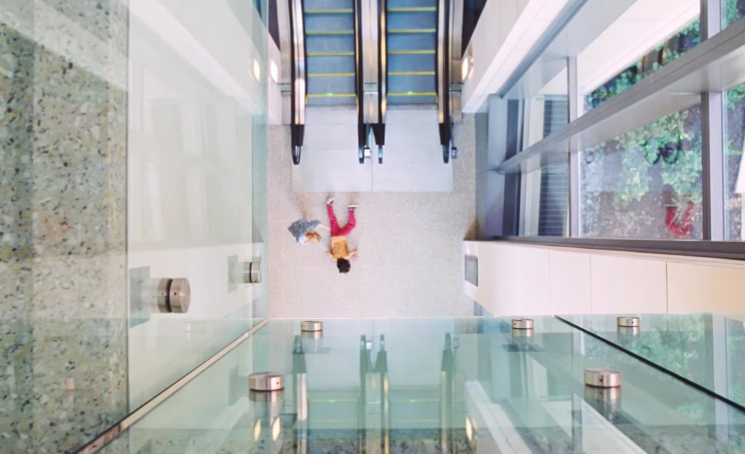 Look at the film’s title: “The Killing of a Sacred Deer”. What happens when we kill something that is sacred to another? We must seek forgiveness, but forgiveness isn’t always easy to achieve. Plot and theme aside this film is nothing short of a technical marvel. I mentioned the wide angles used to create a sense of isolation but also to show the beauty of the vast world around us. 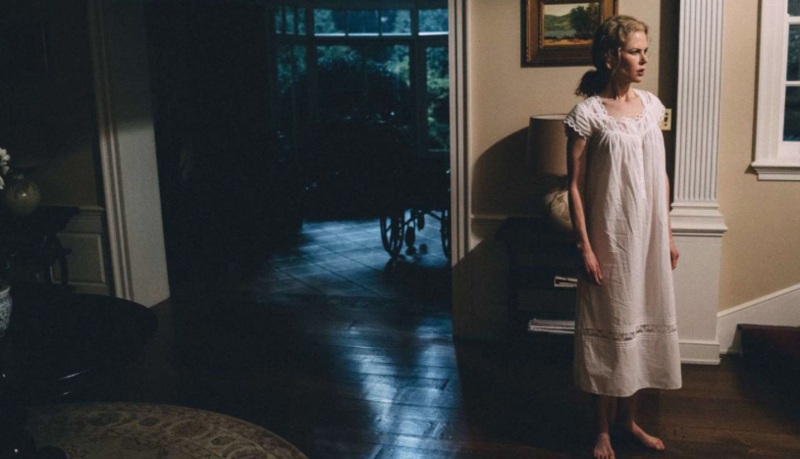 Lanthimos has a knack for finding beauty in the mundane. Whether it be Colin Farrell walking through the long halls of a hospital, or the empty rooms of his big house, or the surrounding urban environment. I couldn’t believe this film was made in Cincinnati of all places. Never have I thought a city in Ohio of all places could look this stunning, but Lanthimos discovers its beauty. The performances are equally impressive. One would think it would be difficult to do much with sparse dialogue and characters that feel like blank slates. I think one aspect that makes the performances work so well is that Lanthrimos and his co-writer Efthymis Filippou choose their words carefully. Almost as if they pair a sentence down to only the most essential words. This results in conversations that may not seem important on the surface, but are when you dig a little deeper. Farrell and Kidman do an amazing job perfecting a distant relationship. Chilling is the best word for it. Let’s not forget, Barry Keoghan, who is such a captivating mess of eccentricities. It’s hard not to be entranced by the almost alien things he says. He’s completely unafraid to say inappropriate or unusual things at any given time. Like trying to convince Steven to start a relationship with his mother, despite already having a family. Or the creepy, stalker-like presence, he keeps over Steven’s family. I don’t think there was ever a moment I felt relaxed watching this movie. 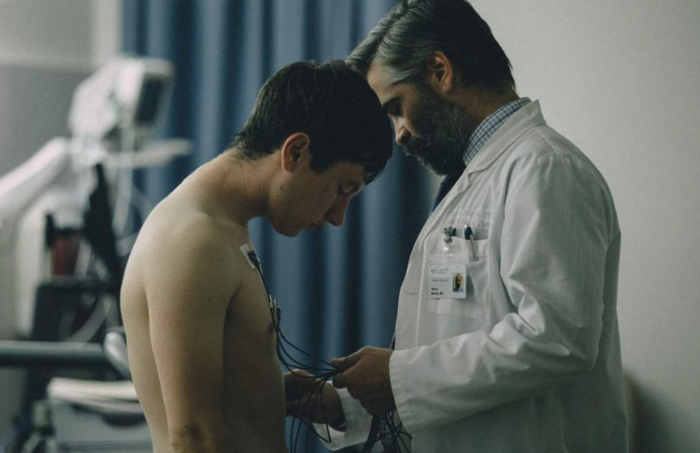 The Killing of a Sacred Deer is the definition of love it or hate it. The film can be very mean-spirited and even cruel, but it does make a valid point. What’s fair punishment for wrongdoing? How can we forgive when we take away the things that are important. Tired of all this ambiguity? Then see it. No matter if you like it or not, you’ll remember it. 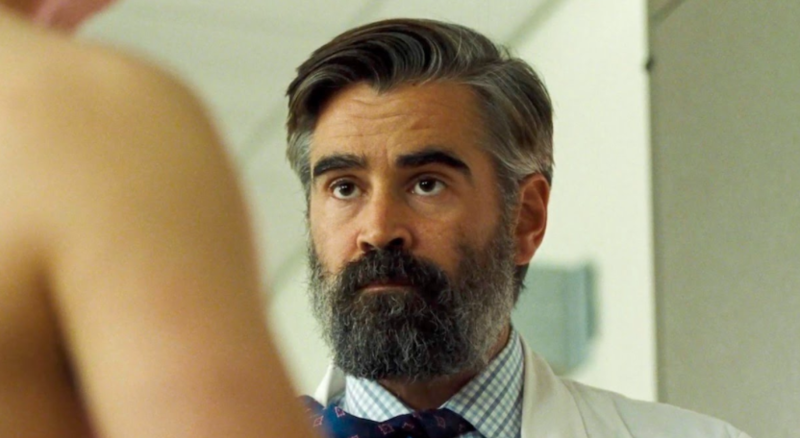 Movie aside, Colin Farrell’s beard gets an A+.